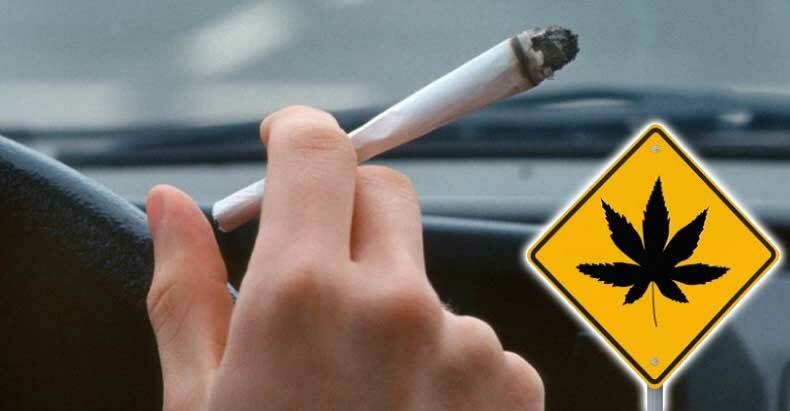 Driving under the influence of marijuana in Maryland is a crime. In this article, you will understand what are the penalties imposed for this DUI violation and discover other laws regarding marijuana possession. It is allowed the use of medical marijuana in Maryland under limited circumstances, but it is still a crime to drive when your mental and physical faculties are impaired. If you were caught driving under the influence of marijuana, you should contact a personal injury lawyer from Maryland. In this article, you will learn about the medical marijuana laws in Maryland. According to the DUI law in Annapolis, it is completely forbidden to drive a vehicle while you are under the influence of alcohol, marijuana or other drugs. In the case of alcohol, if the blood alcohol level is above 0.08%, the driver is considered under the influence. When marijuana is involved, any amount of marijuana found in the driver’s blood or urine while driving will be considered driving under the influence (DUI law in Annapolis). If you are in need of legal representation, you can contact an Annapolis injury lawyer to represent you in court. The DUI penalties in MD vary according to the conviction and also differ in relation to the number of the offense. First conviction. The offender may receive a fine of up to $1000, one year in jail, or both. In addition to all this, the offender’s driver’s license may be suspended for 45 days, and the offender will be obligated to participate in a drug and alcohol education program. If there was a minor present, the fine may increase to $2000 and could face a 2-year prison charge. The level of the penalty also depends on the quality of your defense. That is why you should get the aid of an Annapolis injury attorney. Second conviction within a 5-year period. In this case, the offender may be fined with $2000, between 48 hours and two years in jail, or both. Furthermore, the offender may be obligated to participate in a drug and alcohol education program and get a driver’s license suspension of 90 days. If there was a minor present in the car, the fine may increase to $3000 and could face a 3-year prison conviction. Third conviction within a 5-year period. The offender will receive a fine of $3000, license suspension for up to 18 months, up to three years in prison, or both the fine and time in jail. Just like in the other examples, the offender will be obligated to attend a drug and alcohol education program. If there was a minor present in the car, the fine may increase to $4000 and could face a 4-year prison charge. If you’re at your third offense, your Annapolis injury lawyer will try to reduce the level of penalty as much as possible. If you were charged with a marijuana driving offense, an Annapolis injury attorney knows how such cases are handled by the judges and prosecutors in the courthouse. Contact the best personal injury attorney in Maryland at (443) 569-3950 or by email at [email protected] for a free consultation of your case.